« Download Updated Waze App for iPhone & Android!!! 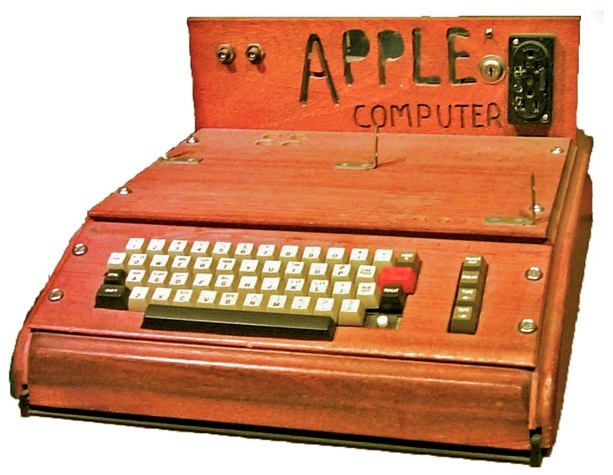 Apple I computer built & designed by Steve Jobs & Steve Woznaik in today’s time among rare computers. But still it does not lost its charms. 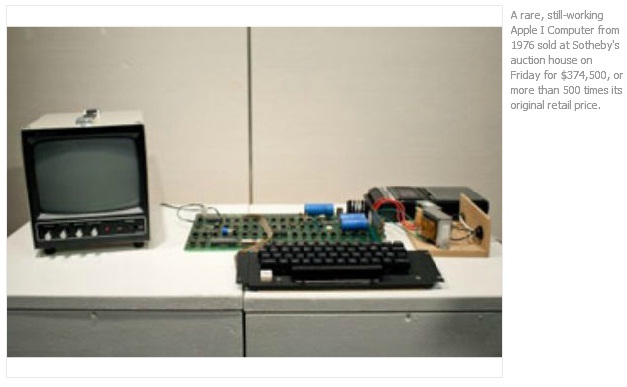 On an auction in Sotheby’s auction Apple I computer which was still in working condition was sold for $374,500 which is 500 times original retail price. Estimated sale price was $150,000 but it was sold for more than its expected price. The compact computer allows typing on computer & operating basic programs. Earlier when it was built in 1976 there are only few purchasers for that & was sold for $666.66. It was believed that only some of them are in market & 6 are in working condition. Last time in 2010 it fetches $213,000 & now it was sold for more than that break its own earlier record. On the auction 2 bidders have a tough competition over its purchase but at last it was sold for $375,000 with commission. Other sales includes F.Scott Fitzgerald story, “I.O.U” FOR $194,500, “Night mare” for $80,000 & “The Ballad of Reading Gaol” for $134,500. This entry was posted on 22/06/2012, 5:54 PM and is filed under Auction, Latest of APPLE. You can follow any responses to this entry through RSS 2.0. You can leave a response, or trackback from your own site.